How to use a toilet. Just in case you didn’t know, it being 2008 and all that, here’s what to do if you’ve been to the lav and have no idea what to do with that handle by the pan. Thank goodness all toilet goers on the City Thameslink will never be confused again. 2 Responses to How to use a toilet. 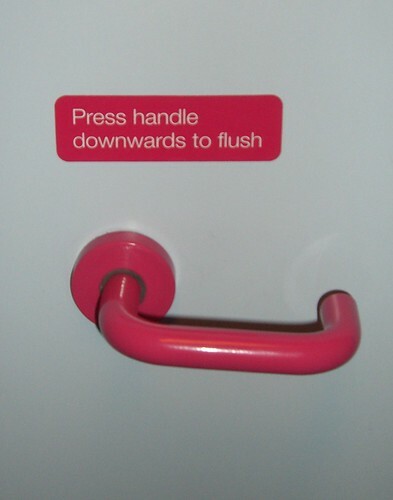 A tricky one… but I see even your toilet handle is pink! !